Blog Book Tour | “Woman Enters Left” by Jessica Brockmole The novel which brings Jorie full-circle into the heart of #Epistolary Fiction by the author who penned Elspeth’s story! Acquired Book By: I am a regular tour hostess for blog tours via Historical Fiction Virtual Book Tours whereupon I am thankful to have been able to host such a diverse breadth of stories, authors and wonderful guest features since I became a hostess! I received a complimentary copy of “Woman Enters Left” direct from the publisher Ballantine Books in exchange for an honest review. I did not receive compensation for my opinions or thoughts shared herein. Why I wanted to read this release and a note about why I had to postpone participating in the blog tour: or rather, (if you prefer) how Jorie is a lot like Ms Brockmole in her passion for Ephemera & the Historical Past! I still remember when ‘At the Edge of Summer’ released and how enthused I was for the ‘next’ Jessica Brockmole novel – as she had truly captured everything I love about narrative prose in a uniquely stylised novel within her debut of “Letters from Skye”. Although, her sophomore release was strikingly different than her debut – I was still keenly interested in reading it – could have theoretically as my local library purchased a copy of it, however, it is one of the many titles I’ve placed myself in a holds queue to receive, finding the hours eclipsing off my clock as soon as it arrives to be read! Ergo, it’s her third novel ‘Woman Enters Left’ which is my second reading of hers, rather than my third entreaty into her literary style. And, what a treat is is for me! I personally *love! * anything to do with the historic past and everything associated with ‘vintage or ephemera’! The two are not connected – as by the ‘historic past’ this is a broad stroke I’m using to talk about how large in scope History is to explore through literary fiction whereas when I refer to ‘vintage’ and ‘ephemera’ I’m talking about a more specific time period – generally contained within the 20th Century, though with some leanings into the 19th. I first stumbled into vintage art practices when I took up small (mixed media) art collages in my late twenties – if your familiar with Tim Holtz, you know a smidge about what I’m referring too. Let’s just say ‘distressed inks’ were one of the greatest inventions! lol Resources such as vintage image and ephemeral discs curated by collectors and artists themselves helped move the artistic style forward for those of us unable to collect as much as we’d prefer! However, despite taking a hiatus from my artistic wanderings (as I traded in my mixed media supplies for fibre; hereinafter being Knitty!) I still remember browsing through early-attic shoppes, vintage emporiums, yesteryear auction houses and thrift shoppes of all kinds – seeking not only the obvious, the tangible bits of the past (ie. Postcards, Letters, Photographs, etc) but the not so obvious – the artwork, the jewelry, the furniture, the quilts and the china! Have you ever just humbly browsed the dish rooms at these places? Still my soul! You can step through a portal of time – not just observing the changes in technology and manufacturing but you can ‘touch’ time itself. You can peer into people’s lives simply by what is left behind after they’ve past on from this world and rightly, start to piece back together a fragment of ordinary life in specific time periods! This is one reason I’ve been drawn into Historical Fiction (and all it’s lovely sub-genres) – it’s a fusion of what is known, what is suspected and what is investigated (or rather sleuthed out) by writers to become ‘re-known’ once again. I definitely could relate to the conversation with Ms Brockmole in the back of ‘Woman Enters Left’ about how one tangible fragment of the past can hold one of the keys to re-immersion into a time period earnestly being sought in today’s 21st Century world. It is similar to why I dreamt of owning a retro (manual) typewriter and was happily surprised when I saw a late 1930s/early 1940s Royal being gifted to me by my Mum and Dad a few years ago! It still needs a good cleaning and some new ink – but guess what? It still types! It is only one of many I shall be collecting to use – as I truly want to ink out my fiction and poetry on vintage typewriters – I started off with an electric typewriter before I moved to typing my words on a computer – something never quite ‘clicked’ as having the same attachment of ‘centre’ for me. Computers are lovely (don’t get me wrong!) however, I think the Typosphere has one thing right: sometimes going back a few steps has more freedom than taking a leap forward. The Typosphere for those who are unfamiliar is a collective of typewriting bloggers – wherein, they ‘type’ their blog posts on ‘typewriters’ (most of which are vintage & retrofitted) then scanning their ‘posts’ to upload into their ‘blogs’ – hence it’s called “The Typosphere”. It’s quite the charming collective! I stumbled into their community several years ago whilst seeking out the ‘letter writers’ in our world of technology – as I’ve been a letter writer since I was eleven years old with perhaps, a decade of hiatus between then and now. It’s something I’m working towards returning too in full haste, as I do miss communicating through postal mail. There is a ‘whole’ world within the internet where people are scaling back their technologic presence and re-affirming things of the past which still are relevant for today. 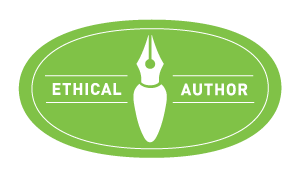 For those who are curious – point your browser to The Letter Writers Alliance, it’s a good place to start! Whilst the blog at The Missive Maven will be your best gateway into the community at large! If you’d like to see my Royal, direct your mouse to this Post! In regards to the delay in my participation the blog tour, I hinted about the reason in brief during my Sunday Post; however, it is my absolute joy to have read this novel this first week of October as it was a wonderful reunion with an author I already admired and a novelist who entices us all into a special perspective on the past which has a breadth of wonder all of it’s own. Notation on Cover Art: The arrangement of the cover design is right on ‘point’ to the title and has the best authentic to the era cognition you are hoping to find about a story which hinges on the legacy of a Mum re-visited through her daughter whose about to re-trace her steps quite unexpectedly on Route 66! Even the car, looks exactly how I was envisioning it whilst I was reading the story-line and I love her outfit! Author Interview | Conversing with Biographical Historical Fiction writer Ruth Hull Chatlien whose narratives feature unknown women in History whose stories deserve to be told. Yesterday, I had the joy of sharing my ruminations on behalf of the second novel penned by Ms Chatlien which steps through the threshold of time and resides inside the footsteps of a woman who lived with a courageous heart and a fortitude of faith during one of the most arduous situations anyone could face – living captive during a conflict involving Native Americans and the fallout of a missing payment owed to them which would have provided means to live on throughout the Winter and coming months instead of facing food insecurity and the horrors of death through hunger and starvation. Sarah is not afraid to share the realities of her marriage, her duties as a mother or her life on the prairies of Minnesota where tensions between the settlers and the Sioux are quite strenuous due to how the Sioux felt they were being cheated out of what they were due (in regards to payment) which put Sarah and her young family at risk. She has a calming sense of center in her spirit – she might have lurches of anxiety and the fears which assault anyone who was living in such a precarious time of ‘peace’ but she finds her will to stay on target with her duties and it’s how she puts her worries into her work which I think helped her the most. Sarah was such a tall woman – six feet! I had to smile reading about her height, as the way in which she carried herself, you wouldn’t have guessed her height! In some ways, as we first get to know Sarah she doesn’t seem to have a lot of confidence in herself which I think is attributed to how she grew up and how she feels indifferent to those who have more education or had more opportunities to do more with their lives than she was allowed. Despite her insecurities – what is quite incredible is what she is able to accomplish, despite her fears and the obstacles soon to be standing in her path. Sarah is a God-fearing woman – taking her faith seriously at all times, turning to prayer and seeking solitude to understand the harder issues of the day. Through these introspective musings we see Sarah twisting over the hardest aspects of faith, where not everything is understood as it is lived nor can all problems have a ready resolution. Her faith is tested quite often but she turns inward to seek understanding and mercy or grace for her own transgressions where she fears she has erred on the wrong side of her beliefs. I truly loved how Ms Chatlien approached giving us a way into Sarah’s life – she took a very direct route, dropping us into Sarah’s life on the very fringe of the uprising, where things start to happen quite quickly. There were little nudges of insight of how Sarah’s view of the Sioux differed from her neighbours and her husband John whilst there were still personal impressions which Sarah was contemplating might not fit in step with her walk of faith. Chatlien added layers of depth and centreing to Sarah – to give us a more exploratory experience of her psychological state and the intuitive approach she took to guiding herself through trying times of adversity. One thing which is a strong credit to Ms Chatlien’s passion for taking on these women in history is how she presents a realistic image of their lives. She holds nothing back – she let’s you into their life bit by bit – laying bare the facts of their days and how they would fill those hours either through work, duty or the intimate moments with their spouse. She sought to find a way to give these woman dimension in the present by re-tracing their footsteps in the past and I believe she’s done this twice over now and will continue to find the hidden voices who are clamouring for a writer like her to take up their stories and give them the freedom to be seen at long last. Throughout my conversation with Ms Chatlien, I wanted to dig a bit deeper into the heart of what inspires her to tell these heart-capturing stories of women whose lives can still inspire us today. I found equal inspiration by reading both Betsy and Sarah’s Historical Biographies as they were told through Chatlien’s narratives. When you can dive into the soul of a living person who lived whilst embracing everything they saw as they lived as readily and as real as they did themselves, we start to draw empathy out of their experiences and find what resonates out of their life experiences which leaves a striking impression on us; these many generations lateron. I asked some deeper questions too about perspectives and opinions inter-related to the stories themselves whilst allowing Ms Chatlien to share a bit about her writerly process to pen the stories which motivate her own spirit to create. She revealled she has survived Breast Cancer in our conversation, and I am at a loss to remember if I had known this at the time I first crossed paths with her in  however, to the best of my knowledge, I did not know of this health crisis affecting her at that time. I definitely understood why she is appreciative of living in our era of time for the advancements in modern medicine; not just for surviving Cancer but for overcoming Stroke such as my father’s journey these past nine months. I also understood her hesitation to reveal too much about her current writing project even though I admit, I have my curiosity piqued! In some ways, I think Mrs Madison still qualifies as ‘unknown’ from our historical perspectives as the bits of her life Ms Chatlien wants to highlight are not part of the well-known bits all of us might have come across at one point or another whilst studying American History or the US Presidents in school. 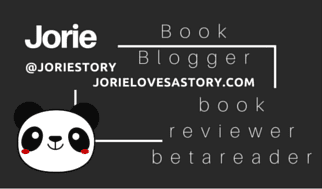 Remember – the best way to enjoy the conversations I present to you here on Jorie Loves A Story is to brew your favourite cuppa, settle into a comfy chair and gleam new insight into a writer you may or may not have come across previously! Acquired Book By: I am a regular tour hostess for blog tours via Historical Fiction Virtual Book Tours whereupon I am thankful to have been able to host such a diverse breadth of stories, authors and wonderful guest features since I became a hostess! I received a complimentary copy of “Blood Moon: A Captive’s Tale” direct from the author Ruth Hull Chatlien in exchange for an honest review. I did not receive compensation for my opinions or thoughts shared herein. Ms. Chatlien is one prime example of an eloquent wordsmith who is a decidedly passionate researcher of her book’s subject, setting, and tone! She is one of the writers I am thankful to uncover for her guiding hand with witticism and cunning turns of phrase which bolster the novel’s setting within the era in which the story exists. The elaborate and delicate attentions to details, to endue the genteel society’s preferences of colours, textiles, and surroundings allows your mind to sink into the artistry of the story’s set decorations as much as the words of the author’s palette. I am always championing the writers who take such a decisive hand to interweave such realism into their historical fiction novels which impart a duality of purpose: a slice of a historical antidote set to life in fiction and the intimate portrait of a living historical person lit inside a biographical fiction. Appreciators of stories like these will find a balm in the wind whilst making sure their settled into a comfy chair to whittle away the hours enraptured in a time portal back into the 1700s! The intrigue of the politics of both America on the footheels of Revolution and of France, caught up in a new regime of power struggling to keep itself afloat left me in the full grip of Chatlien’s ability to tone down the complexity and examine the era from both sides of the Atlantic! The intricacies threaded through their lives became thwarted and entangled at each turn due to Jerome’s connection to Napoleon, who very much was attempting to control his brother’s life at such a distance as France. As they made a determined effort to restore themselves to France, the intrigue of the harrowing journey Betsy would take to reach French soil was beyond riveting as it was etched in danger at each turn. Including whilst trying to protect her unbourne babe for whom had not yet had the pleasure of meeting his father who was kept separate from them. Her tumultuous return to the States gave me a window of what lengths war and insurrection can separate those who are caught up in the actions of others. I could only imagine what was rollicking through Betsy’s mind and heart whilst she was being tested against will to re-acquire her beloved’s presence. I am thankful to have this particular biographical fiction cross my path, because it has inspired me to seek out more historical novels set around the Bonaparte’s. For every imagined truth we all perceive about those who lived in the historical past, there is oft-times a hidden story surrounding the very people who might have repelled our interest. I oft wondered about the lives interconnected to Napoleon, the unsung voices of his reign, and through Becoming Josephine and The Ambitious Madame Bonaparte I am embarking towards that end; of unveiling the incredible women who not only backed their men but forged through all the doubts of their eras to secure their futures. And, for this I thank the authors who are giving their readers quite a heap to ruminate on! It is interesting how life ebbs and flows; over the years, I have wondered if the writer I loved so much from Madame Boneparte might have attached her pen and muse to another woman’s story and/or if she had taken up a new direction in her Historical wanderings. I have oft-times meant to follow-up with all the lovely beloved authors I’ve blogged about here on Jorie Loves A Story, but the project keeps getting pushed forward. It is often when I see a story go on a blog tour, I might first get clued into forthcoming titles by the authors I love to read and/or I might stumble across their newsbits via the twitterverse or browsing bookish sites or a book shoppe! Part of my journey into my 5th Year (in 2018) will be re-exploring where the writers are now in their writerly paths and the books they might have published since I first ‘met’ them either through their debut release or one of their other titles. The joy for me was not only finding out Ms Chatlien had a new story being published this past June but in realising there was a space left on the blog tour celebrating it’s publication! I truly smiled after I had ‘made’ the tour – she is one author I’ve hoped would keep finding her muse to bring forward the living persons of whom History has a way of either marginalising or leaving behind tucked into the hidden corridors of historical archive where their voices are left unknown. Through her efforts and other Historical authors like Ms Chatlien who write captivating and emotionally convicting Biographical Historical Fiction, I get to re-examine the past through fresh eyes and the emotional introspection these characters bring to their stories. Notation on Cover Art: One of the most striking cover art designs I’ve seen in Historical Fiction is this one for ‘Blood Moon’. Not only does the imagery have ‘flight of motion and depth of emotion’ it is simply an incredible capture of ‘one moment’ of Sarah’s life – and of the dire situation she was encapsulated inside for those terrifying weeks where the world was upturnt. I loved how evocative the palette of colours adds to the dimension of the ‘scene’ – all in, it’s wicked good! Ruth Hull Chatlien has been a writer and editor of educational materials for nearly thirty years, specializing in U.S. and world history. She is the author of Modern American Indian Leaders for middle-grade readers. Her award-winning first novel, The Ambitious Madame Bonaparte, portrays the tumultuous life of Elizabeth “Betsy” Patterson Bonaparte. Her latest novel, Blood Moon: A Captive’s Tale was published in June 2017.